Join in the project of Gold Express and integrate into the crazy arena! Survivor: Delivering the things which is specified to destination,don't be found by Hunter in the meantime.If be found...just run and run! Survival is not easy than it seems,Hunters will pursue and attack Survivors till they ensure the lives of Survivors are over. Hunter: Forcing all Survivors to STAY in arena...wether they alive or dead.Hunter is hard to succeed,because Survivor will help each other for finding a way out. It will be useful when you take advantage of position tactically.Both sides can make the advantageous positon by building/destroying barrier,for observing opposite's weakness and tracks. You can choose anyone from the elites who comes from all over the world.The elites have various excellent physical condtion and occupational skills in the age when human beings are free to transform themselves.Choose one suitable elite and join in the project Gold Express with him! 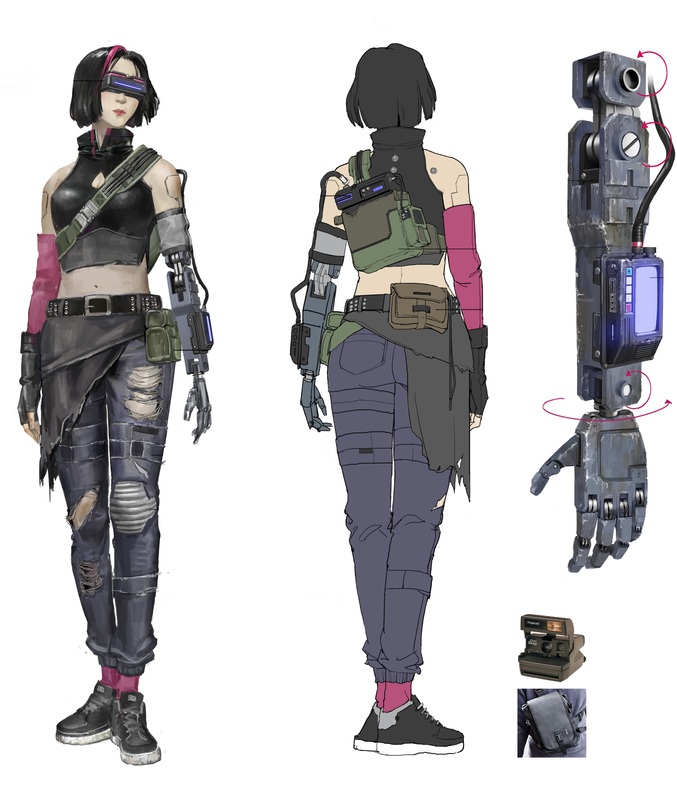 This is the first survivor character we designed, and our game designer wrote a complete wonderful background story for her. Maybe you can realize that we have some idea in the design, we have discussed the feasibility of cold weapon confrontation originally, and it will highlight personal character we designed, make them more vivid. 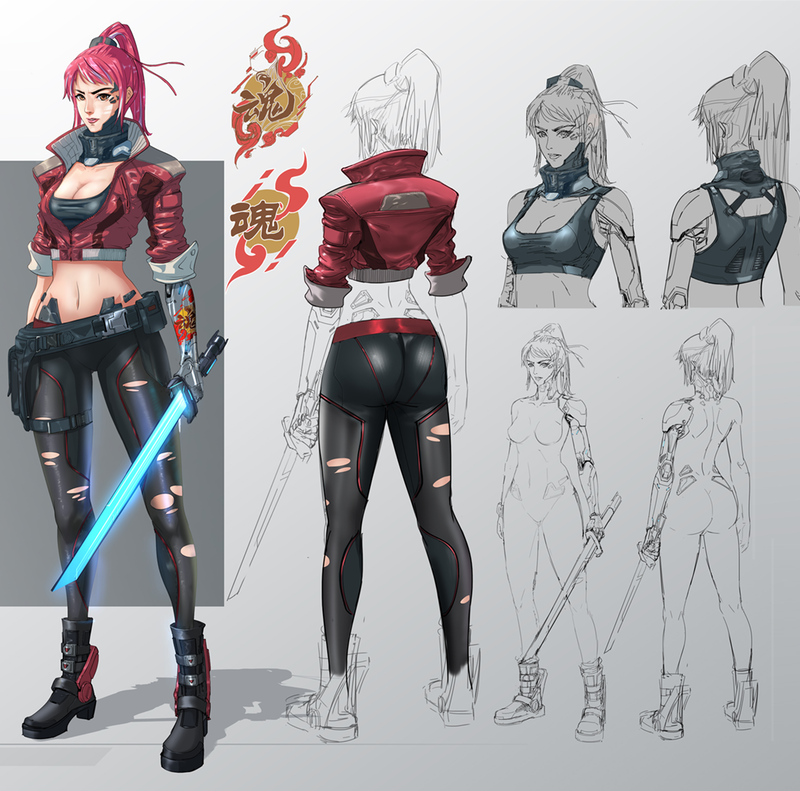 But according to our follow-up discussion and design, we change the original design and make a new one, new character is capable and rebel, accords with our game much more.She is the best network attacker in human camp, and has better equipment than others. A team is more efficient than one person, because team members can help each other for the goal.And the information synchronization is the key for the cooperation between members. We have come true information synchronization easily by built-in Source Control function of UE4.We were in trouble when we only used SVN to share work, information synchronization cost much time . We also systematize our source catalog by features, and have appointed members to maintain every feature hierarchy severally, so we can run functional update test easily. Maybe it’s not hard thing to do, but I think it is worth recording here. We’ll update more game content or devlog in future, thanks for your attention! About the early character design of Hunter -- Warden N99X (tentative name). 100% designer work on stage,like it! Thank you!If you like,we can invite you to join our game test in future! Thanks, actually i have some idea. Make self generating game, for example, when session is started rooms are generated at random. New room started at door and finish at next door, with random system generated in chain. You don`t need maps and fixed crap, only number of rooms. For example field as a room will end at next door, for example hall. Even beyond that, things in room will be also at random generated. For example instead of computer, generate office rack and so. You can`t play same session twice and game become very interesting, ..never know what is next. With these and some Blade Runner clone music, hehe ..this will be extreme first one. Yes,that's great.In fact,we have decided to make ramdom maps,but it's different from your idea,and we have not finished them.So I'm not able to show here,haha.